On half past seven last night, the 3rd Moon Worship Ceremony was held in Thatched Cottage of Du Fu Museum in Chengdu during the Mid-autumn Day. 2012 witnesses the 1,300th birthday of master post Du Fu. This special day not only allows many tourists and locals understand traditional Chinese culture, but also to experience the poems written by Du Fu. In the ancient times, bright and clear moon was considered as the symbol of unity. Therefore, August 15th is also called the Mid-autumn Festival. Since ancient times, people employed full moon or crescent moon to describe vicissitudes of life and used subjects of moon to find emotional substance. On the ceremony held last night, the ceremony host kneed on the mat with girls dancing in traditional Han Chinese clothing while the public was led to take a kowtow. 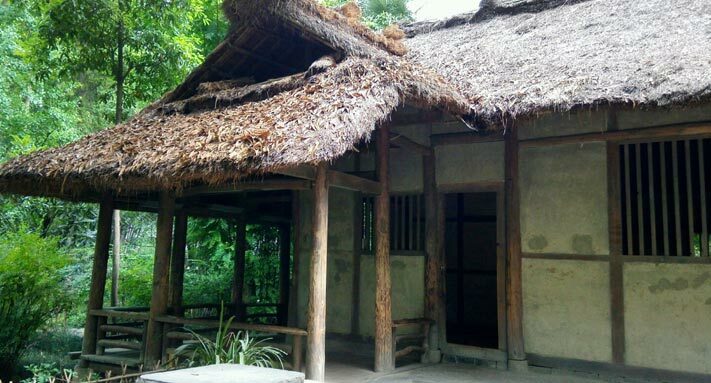 According to the workers in the museum, the Moon Worship Ceremony is the most characteristic activity in the night while traveling in Thatched Cottage of Du Fu, which is aimed at educating tourists and citizens on traditional culture, hoping they can understand the essence of traditional poems.